Whether you like it not, being robbed by somebody is a part of ones life. If you have not experienced being robbed, then you are an insignificant person. Try to remember your childhood days; your schooling years, from elementary to college/university days; at work; and your relationships with your own family, siblings, relatives and friends, and you will know what I really mean. Robberies in Sports Events had been very rampant in the past years. And most of these robberies are done in cars/vehicles being parked in Parking Areas near the Venue of the activity. In running events in Metro Manila, there had been many reports of robberies for the past years and these incidents were not openly discussed by the Race Organizers to the Running Community. Whether you are parked in Bonifacio High Street, MOA, McKinley Complex or at the CCP Complex or Luneta Park, the cars of runners parked on designated parking lots are not safe from these thieves. There had been an instance when a trail running event outside Metro Manila with few runners was marred with reports of robbery of things left in cars of some of the runners/support staff of the event. Up to the present, I have not yet received any progress report or information as to what happened to these robbery reports in the past running events. Lately, I just received a report from one of my runners that he and together with some of my running friends were victimized by these robbers in a running event that was held in one of the neighboring provinces from Metro Manila. Their car was parked in a designated parking lot for the runners in the said event and when they returned to the car to change their attire after finishing their race, they found out that their things were gone! I have yet to know the progress of the investigation being done by the local police in the area if they have already arrested or have identified probable suspects to this incident. Why do we have such robberies in our running events? Why do thieves “disguise” themselves as legit runners and do their business of stealing one’s property left in their cars in running events? I think the answer is very simple, “It’s the economy, stupid!” The more we have running events and more runners, the more we have dumb runners who don’t think about “security” and become super excited to toe the line and be together with friends at the Starting Area! They eventually become the targets of these thieves in running events. Of course, everybody is excited to show to everybody their individual fashion statement in running——new shoes, new tights, new compression shirt, new compression socks/calf sleeves & arm sleeves, new GPS watch, iPhone 6 with BOSE earbuds, new Head Visor, and Oakley Sunglasses. Wow! That is an impeccable form of a runner ready to be posted on Facebook! Most often, this is the reason why we are very lax in terms of securing what we left behind in our respective vehicles when we run. In short, the more runners in running events, the more targets of opportunities for the thieves! Other sporting events and outdoor activities are not spared from these thieves. 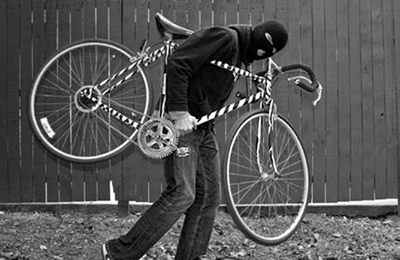 In the past, I’ve received reports of stealing/robbery incidents in Duathlon, Triathlon, MTB rides and even in Camping/Backpacking/Mountaineering events. Prevention Starts With Us, The Runners!——If you are using your car/vehicle in going to the running event, make sure that there is NOTHING seen inside the car from the outside. Hide your things in the trunk/baggage compartment! Better yet to hide your things in the compartment before you leave your house or place of residence. 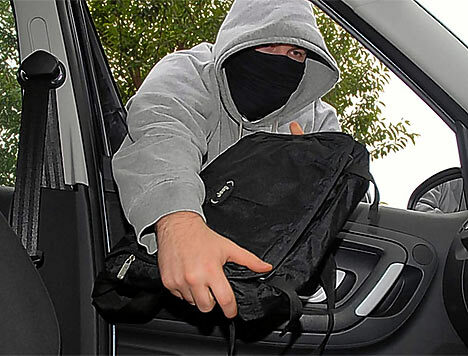 Thieves (among your co-runners) would observe your move in transferring your things from your car’s seats to your compartment if you do it in the designated parking area for the running event. Make sure also that you have parked your car in the designated parking area for the running event. If you have the luxury of a driver, let him stay in the car if you have “diamonds and gold bars” stashed in side your car. Remember that your Finisher’s Medal and Shirt purchasing costs would be cheaper than the salary of your driver per hour! Carpool——It is nice to see public transport vehicles, like Jeepneys, SUV Express and buses being used by running teams coming from other provinces and cities/suburbs around Metro Manila area. Since these transport vehicles have drivers, instruct these drivers to secure and look for the things of his passengers instead of going to the Start/Finish Area as an spectator. If you belong to a Running Team or group, it would be wise and practical to carpool to the venue of the running event, provided there is a driver to look for your things. Multi-Event vs. Single Event——There were suspicions in the past robbery incidents that these thieves are also legit runners but they join the shorter distance events, like 3K or 5K races. After they finished their race, they go back to the designated parking areas or any parking area with their running attire, race bib, finisher’s medal and shirt and then take the opportunity to do their acts to the cars of those who are running longer distances like, half-marathon or full marathon. If you are 4-hour finisher or more of a full marathon and these runner-thieves would finish their 5K race in 30 minutes, then they have enough time to select their targets and do their acts. In selecting a running event to join, one of the factors to consider if you want to eliminate the possibility of being robbed with your properties in your car is to select a single event race. However, this is not a 100% solution or prevention technique because the runner-thieves could also “drop or DNF” on the first few miles and then go back and have access to the parking areas while the rest of the runners are still out there on the road. Actually, these runner-thieves do not train to improve their endurance capability but they would rather train better on how fast they can open your car and run faster carrying their loot towards their vehicle. In road ultras, there are no cases of robberies because the runner’s car is used as support vehicle with a driver and support crew in it. As far as I can remember, I have not yet received any reports of robberies in road ultra marathon events in the country. Get A Driver/Personal Assistant——If the Parking Area of the event is not guarded, then get a designated Driver or a Personal Assistant to guard or stay in your car. Before you register to a running event, make sure to make the necessary planning as to who would be your driver/assistant. Better safe than sorry! Commute or “Walk Instead”——If you reside 3K radius distance from the Event Venue, you can walk or jog and make it as your warm-up exercise to get yourself to the Starting Area before the start of the race. Take the Bus, Taxi, or Uber in going to the Event Area. Sleep early the night before the race and wake up early making sure you have a buffer time for adjustments in case of some traffic delays. Belt Bag & Other Related Running Bag Accessories——I remember my ultra running friend, the late Cesar Abarrientos with regards to using such running bag accessories. He usually comes to a race (coming from his work) in his running attire with a “drop bag” used as a mini-backpack where his things are stashed. He would run with the said backpack throughout the race. What was good about it was that the bag that he was always using was the “drop bag” that I gave to all the “pioneer” participants of the 1st Edition of the Bataan Death March 102K Ultra Marathon Race. At present, there are running shorts with multi-pockets, runner’s belts with pockets/slots, compression apparel with pockets, and even hand-held bottles with zippered pockets where one can stash his things during the run. Operational Security On Social Media——Most of the runners are in the Social Media for so many reasons. Obviously, the runner-thieves are also there to find out their probable targets. 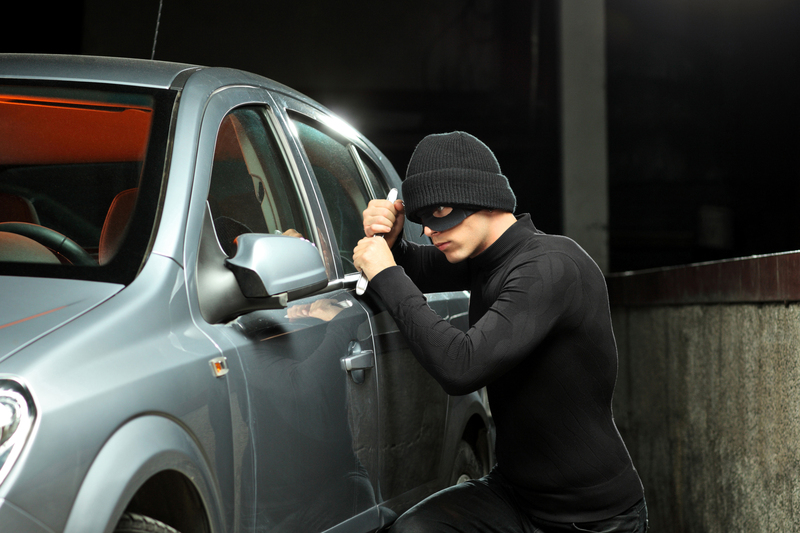 Without you knowing it, these thieves would be able to know your personal profile, your lifestyle, your race schedules, running times, and other “bits & pieces” about your daily life, to include the plate number, model and type of your personal vehicle. In a matter of time, even if it will take them years to follow your posts, there will be a time that you will regret what you had posted in your Social Media’s personal account. Believe me, they are out there lurking every move and status you post on your FB Wall. So, always think Operational Security, keep to yourself about your activities, plans and schedules! Race Organizer’s Security Responsibility——Do we still have a lot of “bouncers” with big muscles dressed in tight-fitting black T-shirts in our BIG Running Events? If so, then I suggest that Race Organizers would redeploy them to our Parking Areas and patrol in tandem or in addition to the thinly spread force of the Security Guards. They need to walk around at the Parking Areas and not just to stand at the Starting Line/Starting Arc as a “fence/wall” as if the runners are there to make a stampede before waiting for the Race to start. In big running events, additional marshals should be deployed to patrol the designated Parking Areas for the event to deter these thieves from doing their acts. They should be trained also to detect and make a quick profile to runners who just finished the race. They should know the signs and body language of a runner who just finished a race even if he/she is wearing a finisher’s medal and/or shirt. And they should be ready to ask questions to these runners as to what happened along the way or ask about the route just to test if they really joined the race. Simplify——Be simple. Do not brag. Do not announce to the world about your running achievements and plans, not unless, you are an elite and sponsored athlete of a big corporation or establishment. Let this post serves as a wake-up call or warning to every runner, athlete, or outdoorsmen & women to be security-conscious and aware of their surroundings and their actions.